CLEARHEART, a design and building company, specializing in Victorian Facades, restoration, preservation and projects which require a high degree of quality woodworking. The company was founded in 1982 and is operated by Skeeter Jones with over 35 years of experience in the building trades. 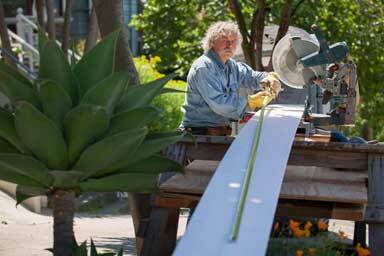 His work includes construction of new homes, Victorian facades and restorations, and architectural millwork. Clearheart is proficient in conventional building techniques and is renowned for painstaking efforts in adding living spaces and facades congruent with the style and character of the existing structure. Skeeter has done work in New England in the late 1970s, building ski resort condominiums and bunkhouses; 'Salt-box', Colonial and Contemporary homes; commercial buildings and major period (1800s) reconstruction. 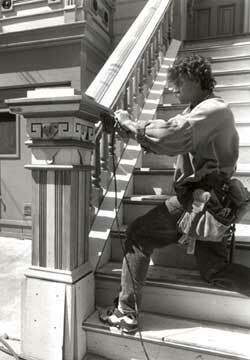 In 1979, returning to the Bay area, Skeeter ran the most critical jobs for San Francisco Renaissance. Thanks to satisfied, enthusiastic clients, and competent associates, Clearheart has been able to diversify its style. Samples of the work have been on display at the Union Street and San Francisco County Fairs, and National Democratic Convention and throughout the Victorian neighborhoods of the City.